Despite being separated, Almira and Bong both attended their daughter’s college graduation. 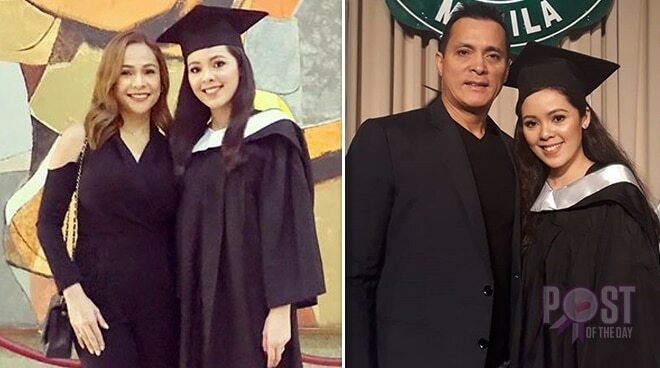 Former PBA star Bong Alvarez and actress Almira Muhlach attended their daughter Illa’s college graduation at the De La Salle University. They may be estranged partners now but they are united in supporting their daughter’s education. “I thank God each day that I have the best daughters a mother can ask for. Daughters who are very responsible, humble, hardworking and respectful,” Almira posted. Illa graduated with a degree in Psychology.